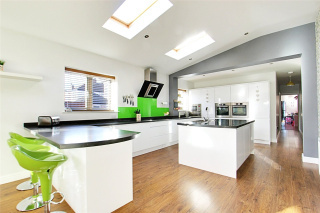 A stunning four bedroom substantially extended period property located in the highly regarded Holderness High Road Area. With wow factors in abundance, the current owners have left no stone unturned in providing a simply breath-taking family home. The accommodation briefly comprises entrance hall, sitting room, lounge, 28ft family room, 43ft room which combines luxurious kitchen/dining area and day room with bi-folding doors leading to the garden, ground floor w.c. and utility room also to the ground floor. To the first floor there are four bedrooms with fitted wardrobes and en-suite facilities to the master, luxurious house bathroom also to the first floor. The accommodation offers a fabulous combination of period features and high specification modern day conveniences. 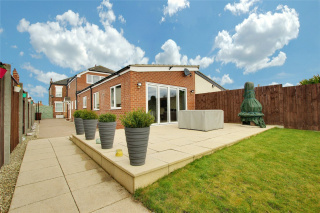 The property has been thoughtfully designed to offer extremely spacious and flexible living. 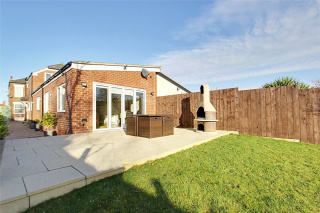 To the outside there is generous off road parking for several vehicles to the front and side, with extensive lawns leading to a timber summer house and sheds plus play areas. This is a real gem and one not to be missed. 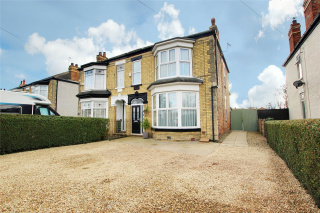 Summary A stunning four bedroom substantially extended period property located in the highly regarded Holderness High Road Area. With wow factors in abundance, the current owners have left no stone unturned in providing a simply breath-taking family home. The accommodation briefly comprises entrance hall, sitting room, lounge, 28ft family room, 43ft room which combines luxurious kitchen/dining area and day room with bi-folding doors leading to the garden, ground floor w.c. and utility room also to the ground floor. To the first floor there are four bedrooms with fitted wardrobes and en-suite facilities to the master, luxurious house bathroom also to the first floor. The accommodation offers a fabulous combination of period features and high specification modern day conveniences. 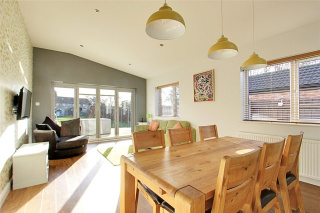 The property has been thoughtfully designed to offer extremely spacious and flexible living. To the outside there is generous off road parking for several vehicles to the front and side, with extensive lawns leading to a timber summer house and sheds plus play areas. This is a real gem and one not to be missed. Location Holderness Road offers a vast array of shopping facilities; public transportation and leisure facilities are available at East Park and the Woodford Leisure Centre. Sitting Room 14'3" x 12' (4.34m x 3.66m). Large bay window to the front, multi fuel burning stove inset into the chimney breast with attractive surround, ceiling cornice and central ceiling rose. Lounge 14' x 1' (4.27m x 0.3m). Windows to front and side aspects, electric fire set within substantial light oak surround and ceiling cornice. Family Room 27'8" x 13'2" max (8.43m x 4.01m max). Two windows to the side. Ground Floor WC 6'1" x 5'2" (1.85m x 1.57m). Low flush w.c., wash hand basin set within vanity fitted furniture and window to the side. Utility Room 13'6" x 10'3" (4.11m x 3.12m). Range of wall and floor fitted units with work surface over and matching upstands, sink and drainer inset, plumbing for an automatic washing machine, two wall mounted central heating boilers, window to the side and door to the side. Bedroom 1 19'6" x 13'2" (5.94m x 4.01m). Range of fitted wardrobes, window to the rear aspect overlooking the garden. En-suite 8'11" x 6' (2.72m x 1.83m). Fully tiled luxury en-suite with large step-in shower enclosure, low flush w.c., wash hand basin set within fitted vanity furniture, chrome towel radiator and window to the side. Bedroom 2 19' x 12'1" (5.8m x 3.68m). Range of fitted wardrobes, bay window to the front aspect and window to front aspect, ceiling cornice and ceiling rose. Bedroom 3 14'2" x 11'11" (4.32m x 3.63m). Window to the rear aspect overlooking the garden, fitted wardrobes, coving to the ceiling and window to the side aspect. Bedroom 4 14'7" x 7' (4.45m x 2.13m). Window to the side aspect. Family Bathroom 13' x 7' (3.96m x 2.13m). Stunning bathroom with tub style bath with central tap shower fitment, large step-in shower enclosure, low flush w.c., wash hand basin set within fitted furniture, chrome towel radiator and window to the side. Outside Off road parking to the front of the property and the gated entrance at the side leads to further parking for several vehicles. 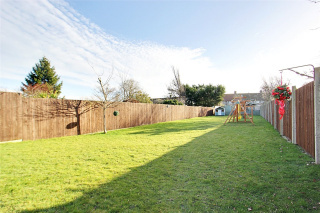 The extensive lawned garden leads down to a play area which has large substantial timber summer house, timber sheds and Wendy house, there is a further paved patio area ideal for summer dining, entertaining, barbecue and etc. 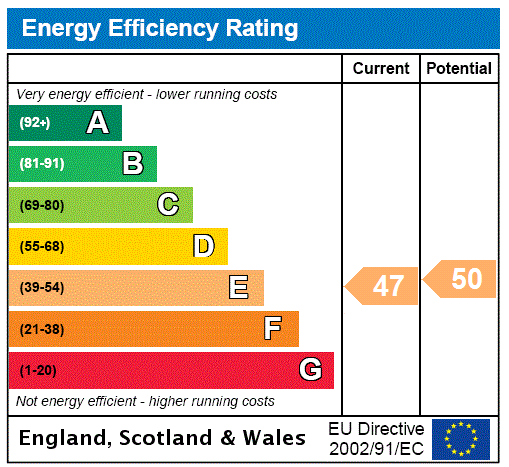 Double Glazing: The property has the benefit of UPVC double glazing. Mortgages: We will be pleased to offer independent advice regarding a mortgage for this property, details of which are available from our Holderness Road Office on 01482 320000 Independent advice will be given by Licensed Credit Brokers. Written quotations on request. Your home is at risk if you do not keep up repayments on a mortgage or other loan secured on it.